Great flavor and texture from a responsible company. I really like outdoor foods which are responsibly sourced, artificial ingredient free, and have short ingredient lists. I think that food is getting too far from its roots and I believe that, while most health problems are induced by sedentary lives, overly processed foods also play a small factor in the overall decline in American fitness. Because of this and my inherent frugality I have made my own jerky ever since I was old enough to carry a bow/rifle and hunt my own deer. I also make my own sausages, bacon, and a lot of my own energy/granola bars. 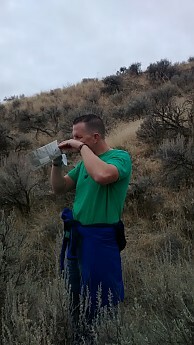 One of the best options in the hiking food department is jerky. 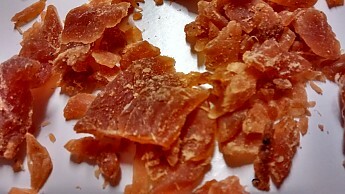 You have dried meat, salt, and some flavor. What could be simpler? 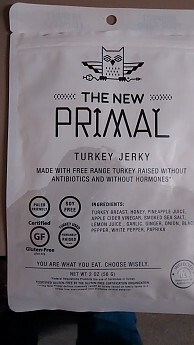 The New Primal has taken this approach and pared the ingredient list down even further, removing meat grown with antibiotics, hormones, grain (except with the turkey variety), and soy. 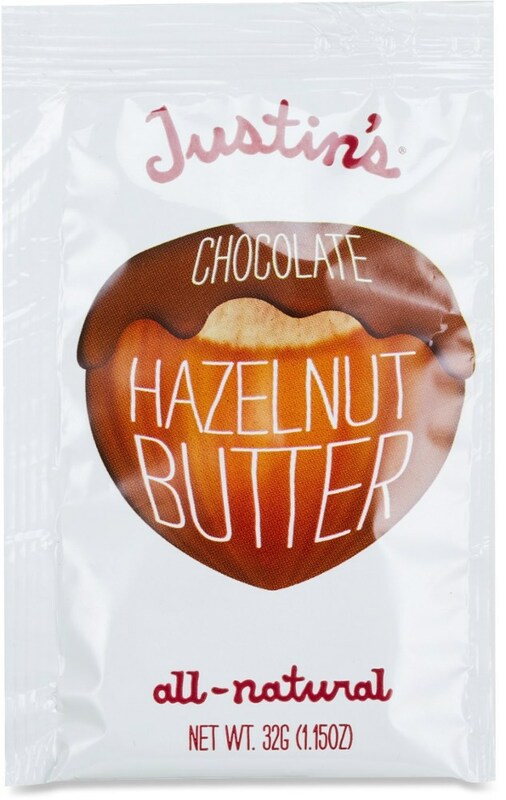 Paleo/primal enthusiasts will also appreciate that these products are paleo-friendly and gluten-free. After eating all three packs (I shared a little of each with Jen) at about 7 a.m. I consumed roughly 500 calories in mostly pure meat. This calorie bill is in line with what I’d eat for a typical morning meal on a hike. Since it's also 72 grams of salty protein, I also chased it with a cup of black coffee and a pint of water. By 10:30 a.m. I was already rabidly hungry, which is nothing new to me. I am almost always hungry at this time so I’d say that satiety is no different than if I had eaten a bowl of oatmeal with brown sugar and fruit, the difference being the protein load in the jerky was WAY higher and the carb count was WAY lower. I have to rate the turkey jerky's appearance as a fail. 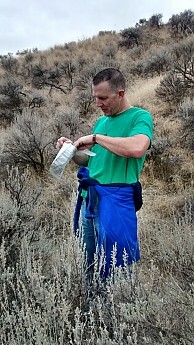 The pouch was filled with small, crumbly pieces that averaged the size of a dime. I don’t know if it was just this lot or turkey jerky in general (I have made duck but not turkey jerky), but I prefer strips of meat I can hold, not crumbles I have to pour out. In as much as this style failed in appearance it scored a home run in flavor. I thought I had gone to jerky heaven with the spicy beef jerky but then I was taken to jerky Nirvana with the turkey jerky. As I sit here writing I am occasionally taking little sniffs of the empty turkey jerky bag just to relive the pineapple, garlic and ginger greatness that this meat had. I used to turn up my nose at the notion of anything other than beef jerky, but I could eat this turkey jerky for the rest of my life and die a happy man. The turkey crumbles were small and the texture was soft and easy to chew. I didn’t mind the softness and I think that expectations must be adjusted while eating turkey over beef in the toughness department. I don’t usually eat jerky for breakfast. I eat it at the end of the day for recovery. It’s a great source of protein for recovery and salts that you sweat out during the day. I like the responsibility movement in food. Many people today are trying to pay more attention to how their food is produced and are demanding more humane treatment of the animals they eat. If you can afford a little more price you can get a lot more responsibility and quality with The New Primal Jerky products. For those who believe in grass-fed, hormone-free foods, this is a great option. Personally I am much more afraid of the natural hormones in soy than the man-made ones fed to livestock and The New Primal jerky also has no soy. 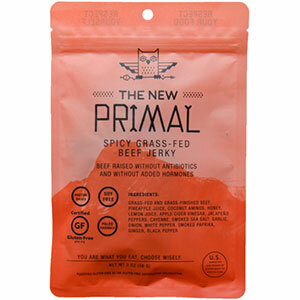 If you have a choice and low cost is not your primary concern, try The New Primal. Please also see my reviews of the Original 100% Grass-Fed Beef Jerky and Spicy 100% Grass-Fed Beef Jerky. 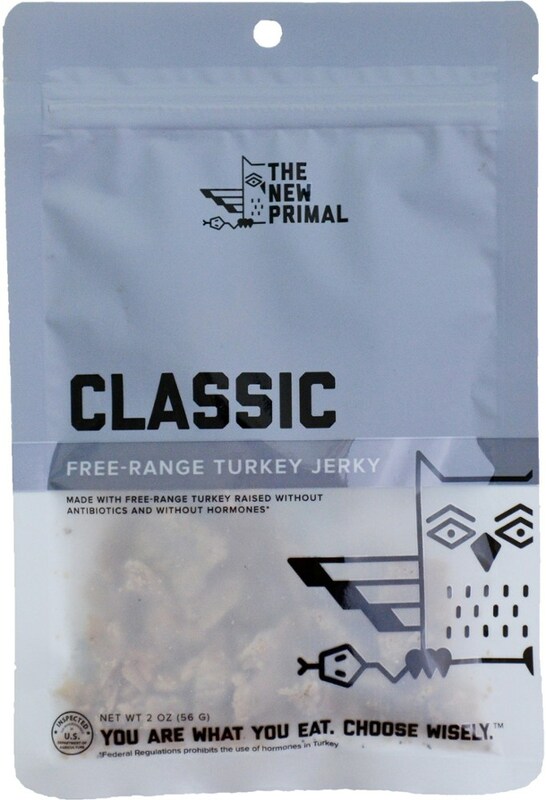 Great tasting free-range turkey jerky that's all natural. Great tasting free-range turkey jerky that's all natural. 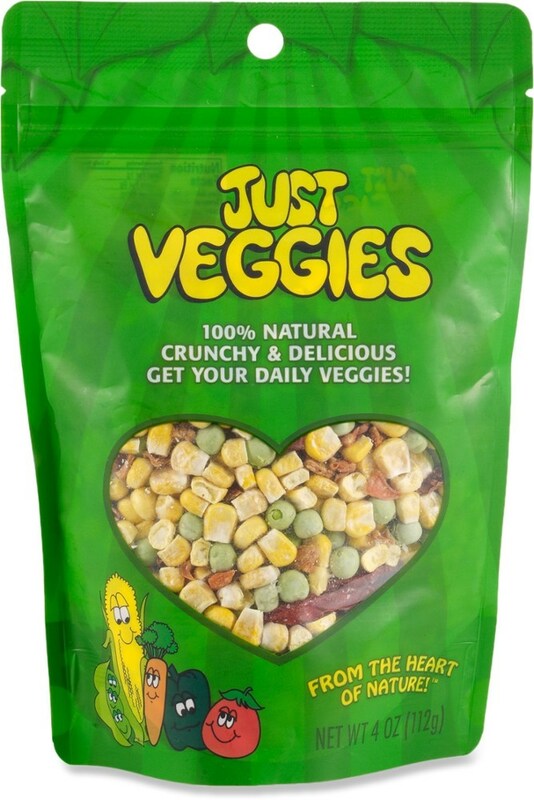 Made with humanely raised birds without hormones or antibiotics. 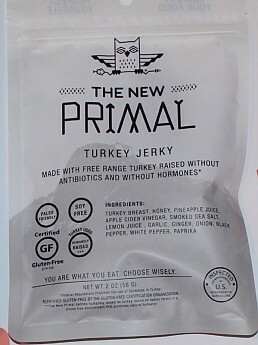 Jerky lovers who don't eat beef will appreciate The New Primal Turkey Jerky. Sourced from free-range turkeys that are both hormone- and antibiotic-free. Certified soy- and gluten-free. Ingredients: Turkey breast, honey, pineapple juice, apple cider vinegar, smoked sea salt, lemon juice, garlic, onion, black pepper, white pepper, paprika. Taste: If you like teriyaki then you will enjoy this turkey jerky. The taste is mildly sweet and a little salty. The turkey is quite tasty. The meat is on the soft side so it is easy to chew. A 2-ounce pack which is supposed to have 2 servings doesn't last that long with me. 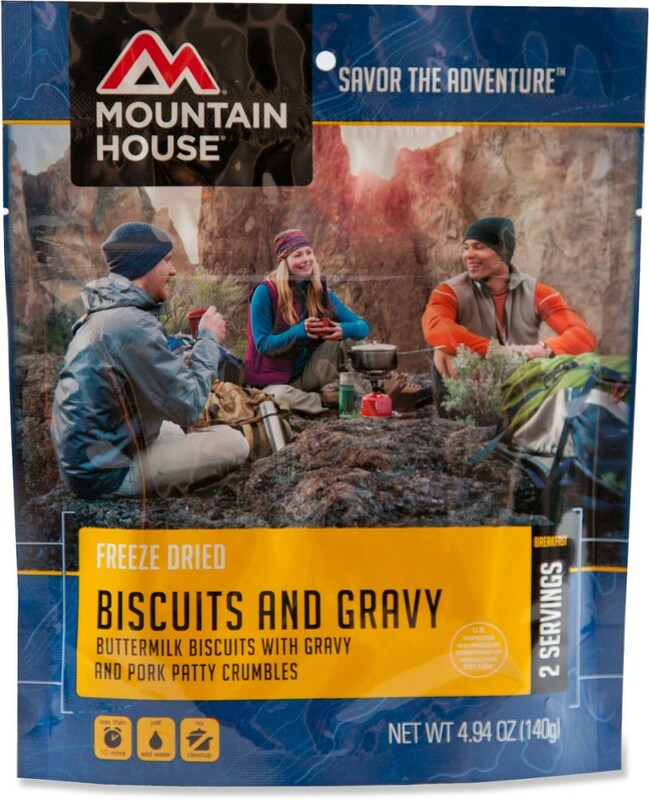 Eaten on the trail the 24 ounces of protein provides a lot of nourishment for its weight. 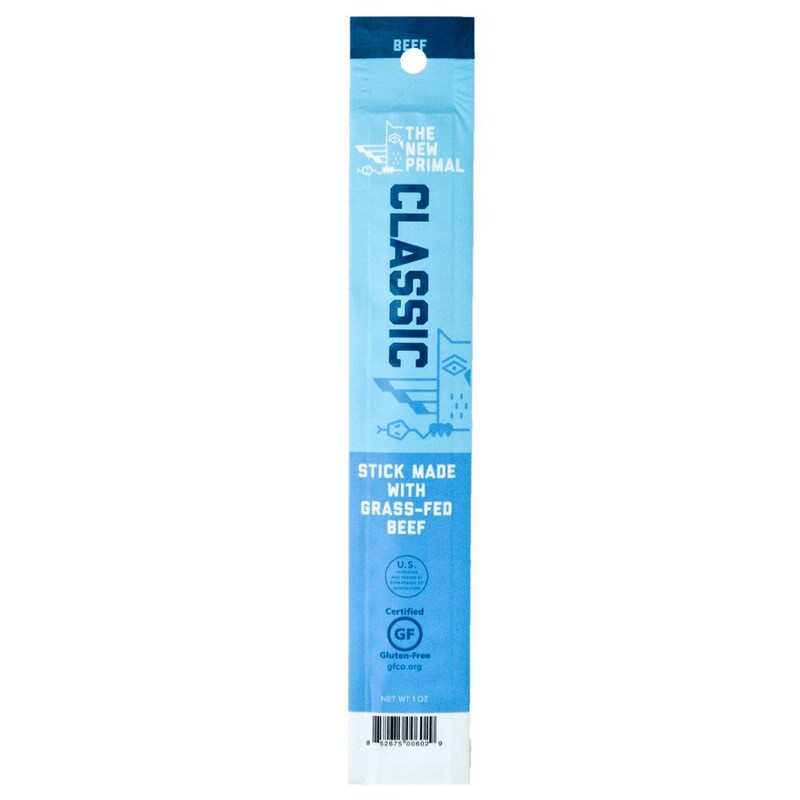 The package is slim and easy to slip into a pocket, a pack or our ever present west coast bear barrels. I bought this at Safeway just by looking at the ingredients. I bought this at Safeway just by looking at the ingredients. This is the worst jerky ever! Expensive for 2 oz. Thought maybe the taste etc would make up for the price, not so. I purchased the turkey jerky. This was expensive, but thought if it makes up in taste it would be OK. Do not like the taste. 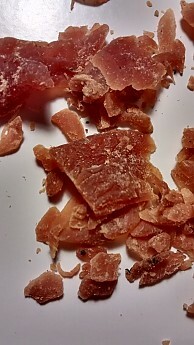 Also instead of strips it is crumbles, not what I was expecting. I have one oz left which I plan to return to Safeway.